AGCO Corporation is an agricultural equipment manufacturing company and headquarter of the company is in Duluth, Georgia. It is a public administrating company that was established in the year 1990. AGCO became a reputed organization worldwide in short time by different strategic acquisition following market growth and by offering industry standard solution for different agricultural projects. Some mentionable products manufactured by the company are tractors, combines, hay tools, forage equipments, propelled sprayers, diesel engines and more. Martin. H. Richenhagen is the respected CEO of the company. Recent record says that approximately 17,366 employees are now working in this agricultural equipment manufacturing organization. 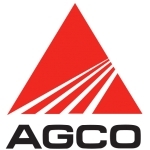 There are currently 0 consumer reviews about AGCO Corporation available. Share your review. Please take a note that you are about to post a public review about AGCO Corporation corporate office on CorporateOffice.com. This review will be public, so please do not post any of your personal information on this website. If you would like to contact the corporate offices of AGCO Corporation, please use their contact information such as their phone number, website, and address listed above to contact them. However, sometimes staff from AGCO Corporation headquarters do read the reviews on this website.